The softest fabric fabric is now available in the form of reinforced fleece pullover. 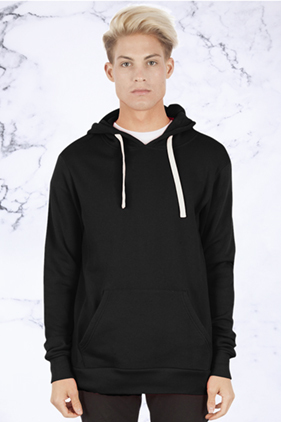 50% Micro-modal/50% Combed ring-spun cotton, 30 singles, 4.6 ounce unisex reinforced hooded pullover. Side-seamed. Shoulder to shoulder neck tape. Pre-laundered.Superb fit. Tear away label. Rib size panel. Thick drawstrings. inner lined hood. Kangaroo front pockets. South Korea fabric.